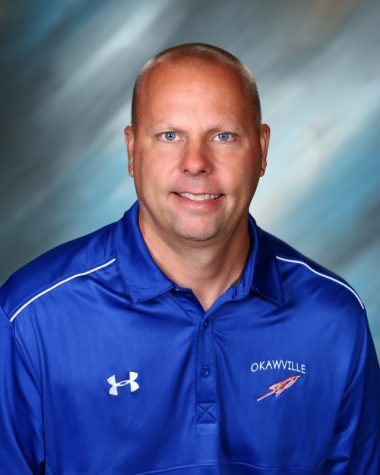 The postseason is over and the Okawville cross country team made it past Regionals and over to Sectionals. In order to make it to Sectionals, a team had to get within seventh place at their Regional. The girl’s team made it quite easily with a third-place finish. They were two points behind Roxana who also ran very well. Additionally, Abby Riechmann received third place and Chloe Tepe got fourth, which means they qualified for Sectionals as individuals. To make it to Sectionals as an individual, you must get top 5 or have a qualifying time. However, the boys didn’t repeat their success from last year. They received tenth place at Regionals, which is good, but not good enough. No individuals qualified either, but next year the boys are expected to do what they did last year and make it to Sectionals. At Sectionals the girls did very well and were expected to get either fifth, sixth, or seventh. In order to make it to State as a team, they must get top five at their Sectional. So they had one spot to fill and they did exactly that. They got fifth place and went crazy when they heard the news. The great thing about this is that they beat Nashville, who got sixth place, by two points! Also, the fact that this is the first time an Okawville girls team has gone to State in school history is pretty cool too! Abby Riechmann and Chloe Tepe did not make it to State as individuals, but going as a team is way more rewarding. On November 3rd, 2018 the girls tied their shoes and set their sight on Dozier Park, the location of the finale. Twenty-five teams were represented at this rewarding competition. Megan Cook (127th) was Okawville’s first runner to finish and not too far behind her was Abby Riechmann (129th) and Chloe Tepe (146th). Cindy Snyder (173rd), Reagan Luechtefeld (201), Amber Koch (208), and Sevanah Hackstadt (209) ran as well. The team as a whole ended up beating Pinckneyville to the 24th place. Even though the team finished second to last, it’s still a great achievement to even make it to State. Only 25 teams in the whole 1A division make it to this event. They may not be State Champions, but they are State Qualifiers, which is a huge accomplishment.